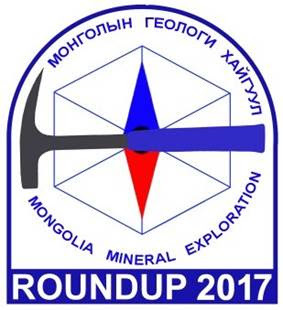 It is our great pleasure to formally inform you that the 9th International Geological Forum and Exhibition “MONGOLIA MINERAL EXPLORATION ROUNDUP 2017” (MMER-2017) organized by Mongolian Society of Economic Geologists (MonSEG), will take place March 23-26th, 2017 at Corporate Convention Center, in Ulaanbaatar, Mongolia. This forum is co-organized by Ministry of Mining and Heavy Industry, Mineral Resources and Petroleum Authority of Mongolia, State Specialized Inspection Agency, Mongolian University of Science and Technology and Mongolian National University. We cordially invite all of you to take part at one of the significant annual upcoming event in the exploration industry, where will be discussed major issues related to mineral sector of the country. 9th pre-forum geoscience and mining bachelor students conference will be organized by “Golden Hill”. Registration deadline: March 5, 2017. Forum main sessions will be covering the topics of government policy to improve the competitive environment of investment for 2016-2020 years, government support for the mineral sector, regional geological study, exploration methods and equipment, introduction of exploration and mining projects, exploration licenses application issues. The Forum recommendations will be delivered to related government organizations with following performance. Business meetings for potential investors to introduce mineral exploration and mining projects under special programme. During the 2-day event the government organizations and 30-40 companies are participating the exhibition and will receive around 1200 visitors. We have 3 different workshops within the forum. 1. Workshop hosted by Dr Gotovsuren.A on “Geochemistry Exploration”. 2. Workshop hosted by professional geologists from MRPAM, “Erdenes Methane” and “Petrovis Resources” LLC on “CBM-Coal bed methane exploration”. 3. Workshop hosted by professional engineer Tatsuya SATO on “Applied Magnetotellurics and EM survey”. The workshop costs are 200 000 MNT. 10% discount for Mongolian Society of Economic Geologists (MonSEG) members. The costs include coffee, teas and lunches and workshop materials. On completion of the workshop you will receive a certificate of attendance. The deadline for booking is Monday 20th March. Advertisement: All participants will get forum package including brochure, “The Explorer” magazine, forum bookmark. Cancer India - Dr. Sachin Subhash Marda one of the Best Oncologist in Hyderabad . There will ge going to releases out Telangana Jr Inter Results 2017 on April 17th for the current session. Check out TS Jr Inter Result 2017 from here also. On April 17th, 2017 there will be announces TS Junior Intermediate Result 2017. Students can check and download TS Junior Intermediate Result 2017 here also.